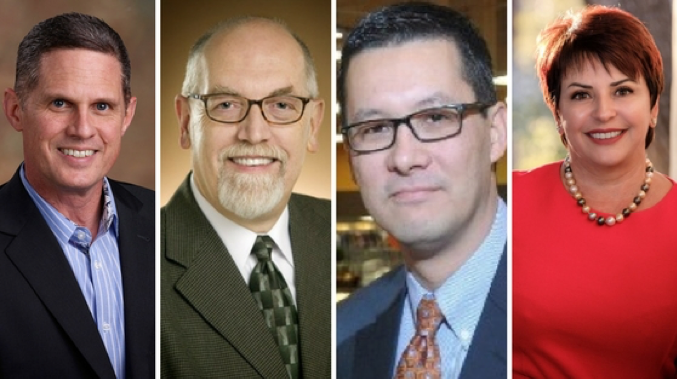 Fresh produce leaders from three of the nations’ largest and most recognized grocery operations have been confirmed as panelists for the Retailer Roundtable at the third annual The Organic Produce Summit, on July 11-12 in Monterey, CA. The Retailer Roundtable will feature panelists Roger Harkrider, Director of Produce for Meijer, Inc.; Ron McCormick, Senior Director of Global Produce Sourcing at Walmart Stores, Inc.; and Randy Riley, Director of Produce Merchandising for The Kroger Co. Tonya Antle, Co-founder of the Organic Produce Network (OPN) will serve as moderator for the Retailer Roundtable, one of the most anticipated events at OPS 2018. Featuring candid commentary and thought-provoking discussion, the Retailer Roundtable will highlight how each retailer incorporates organic fresh produce in their operations, as well as their analysis on the challenges, opportunities and future of the multi-billion-dollar organic fresh produce industry. In addition, three keynote presentations await OPS attendees. Ed Carolan, President of Campbell Fresh; Dan Buettner, noted journalist, and discoverer of Blue Zones; and Geoff White, President of OWN Brands will be featured keynote presenters at the third annual OPS. The educational sessions, keynote presentations, and the retailer roundtable are part of the third annual OPS at the Monterey Conference Center, bringing together organic fresh produce growers, shippers and processors as well as retailer and buying organizations from across North America. OPS 2018 also includes a selection of field tours for retailers and buyers; a gala opening night reception and a trade show featuring 130 producers and processors of organic fresh produce from around the globe.